Isn't it amazing how the big brown eyes and happy face of a friendly dog can change your entire mood! 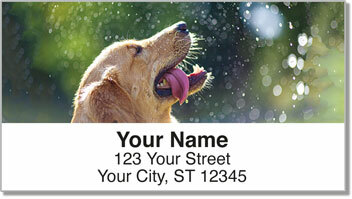 Now you can spread the joy all dog lovers feel every time you put an envelope in the mail. 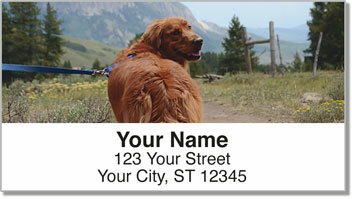 These convenient self-adhesive return address labels feature photography of one of the most fun-loving canines around...the Golden Retriever. 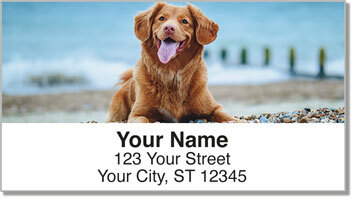 Golden Retriever Address Labels from Check advantage will remind you that slimy tennis balls, sloppy wet kisses and sweaters covered in dog fur aren't annoying at all when they come from your best friend. 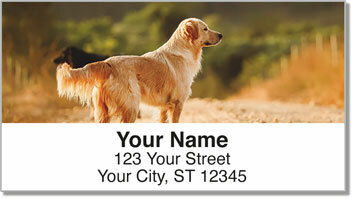 Get your very own Golden Retriever Address Labels right now! We are also pleased to offer this same design in a set of personal checks.